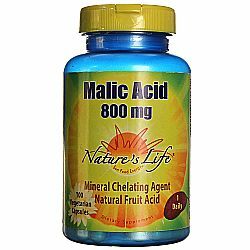 I use Malic Acid 800 mg for muscle pains. I take one before I sleep and I think they help. I was really happy to hear about Malic Acid as a treatment of Fibromyalgia. I live in Finland where most doctors still think that Fibro is "all in the head". Malic Acid seems to reduce the pain (taken with Magnesium), I just have to keep adjusting the dosage because the acid is hard on my stomach. It feels so good to get up in the morning without the stiffness and pain, which had been a part of my life for the last 10 years or so! 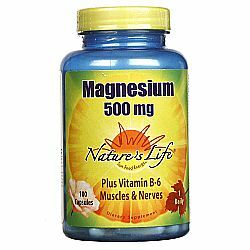 This magnesium was the best value for my money when I checked, and it works for me. It's a great choice to buy on a budget, I think. Works well. Improves sexual drive. Better nights, full of dreams! I usually double or triple the dosage. I have been taking Mega Minerals for over a year now and can honestly say that when I forget to take them or run out I feel the difference. This supplement has helped to keep me regular. I hightly recommend this product. 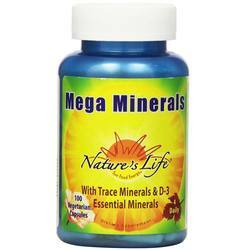 Mega Minerals helps keep my body in balance and I no longer have the headaches that put me in the bed and make me sick. 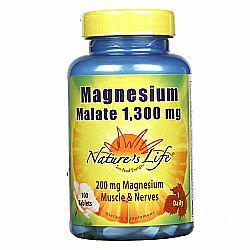 I take magnesium all the time and have tried all kinds of forms: magnesium chloride, topical magnesium oil, magnesium citrate, and magnesium malate tablets, but this one is truly the best because it's pure. There are no fillers and yes, it does taste sour, but it doesn't bother me when I drink it with a straw to protect my teeth. 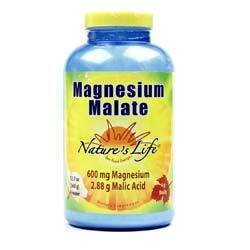 Magnesium malate is great for muscle recovery and for energy. Malic acid itself is great for liver and gallbladder. I take 0.25-0.5 tsp. every day before bed and it keeps my muscles supple and my sleep very deep. 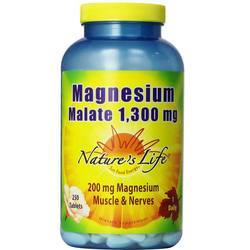 I wouldn't spend a day without magnesium. Best Soy protein I have ever used! I think this is going to be my new brand. 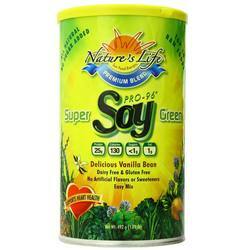 Super Green Pro-96 Soy Protein tastes really good even though it's very low in sugar -- which is important. And it's got more than 20 g of protein. powders with less than 20 g protein aren't worth it to me. I do not recommend this protein at all. It had an awful taste that even mixed with a bunch of fruit and that I could still pick out. Had a very awful after taste and it does not break down to a smooth consistency. I tried in smoothies water and with regular milk and almond milk and nothing helped. No matter how much you stirred it it never got smooth or to decent consistency to get it down. I tried the Optimum Nutrition protein after this and it was much better tasting and actually broke down. Would not recommend this protein. We like this product. It is one of the few protein drinks that actually tastes good without added sugar. Sugar content is very low, which is great for pre-diabetics. However it is NOT organic, and we are not clear on the source of the rice protein. 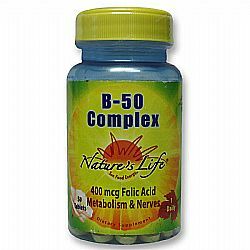 I have been taking the NatureMost B-Complex daily for over 6 years, and I wouldn't want to be without it ! One time I ran out of them & purchased a different brand of B-complex because I couldn't get to the vitamin store & within the next 2 days I did go get this supplement because the other brand did nothing for me. My general well-being is improved, my hair & nails are improved as well as my stress & energy levels-immediate results-& helps me to think clearly. 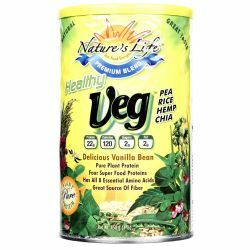 This supplement is easy to take due to it's size & coating, and leaves no bitter aftertaste. I take it with or without food, so no problem either way. Highly recommend as a regular part of supplement maintenance. This seemed to upset my stomach even with food, so I switched to a food-based B-complex which agrees with me much better. 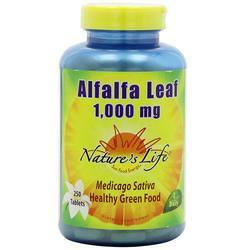 I have been taking this Alfalfa Leaf product every day for 2 years. I think it is an excellent way to increase your dark green food intake, which, in a busy life, is hard to get enough of. I soaked one of these in a glass of water and it turned very dark green and looked very pure and clean. I highly recommend it, especially for anyone with a busy life. Also, the price is fair and reasonable for such a high quality product. Pills are quite large so I chew them rather than swallowing. The taste is quite acceptable - very tolerable and very different from other brands of alfalfa pills I have tried. Vitamin E helps a lot with blood clots and keeps blood flowing in your legs. 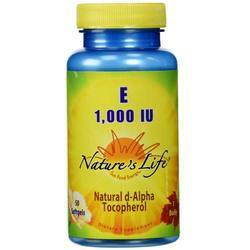 Nature's Life Vitamin E is a good product. I'm using my 2nd bottle. I liked the size of the capsules. I have been using this product for 1 year now. 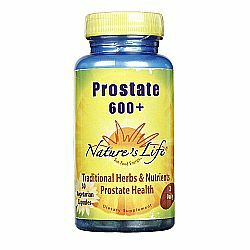 It has helped me in relieving all the symptoms of asymptomatic chronic Prostatitis. Highly recommended for someone suffering the same. I take 2 Pills once a day. I'm not certain. But I'm pretty sure, Prostate 600+, it is helpful.